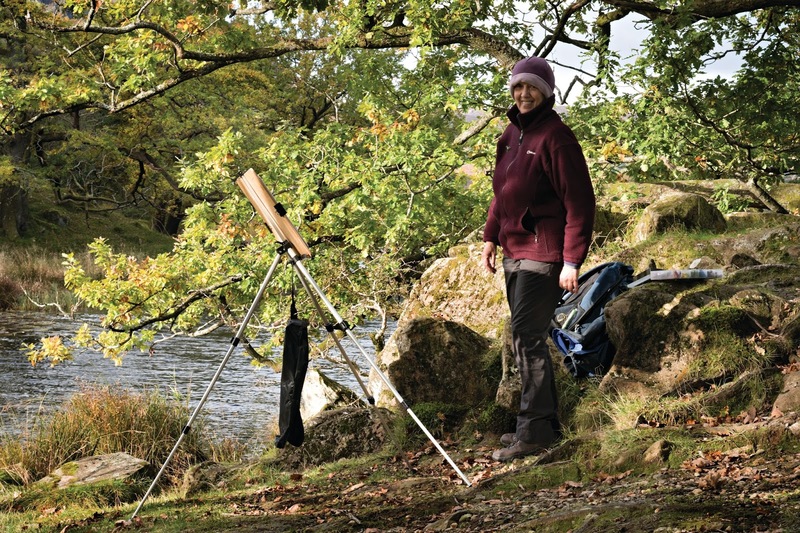 Robert Dutton Artist: A magical Autumn Lakeland art holiday at Rydal Hall! A magical Autumn Lakeland art holiday at Rydal Hall! What a great art holiday we have all just had at Rydal Hall near Ambleside in The Lake District this October. 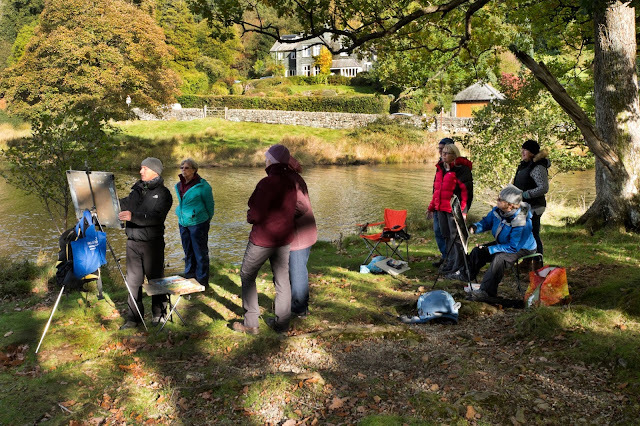 The glorious Autumn sunshine brought all the colours out during our great art week - perfect for all our outdoor painting adventures together at Rydal Falls (Wordsworth's favourite Lake District waterfall) and at Rydal Water itself close to Rydal Hall. 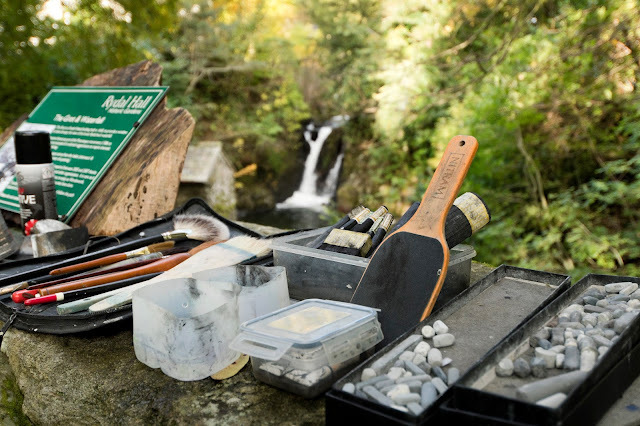 Is that really a 'waterfall' you are painting there Robert? 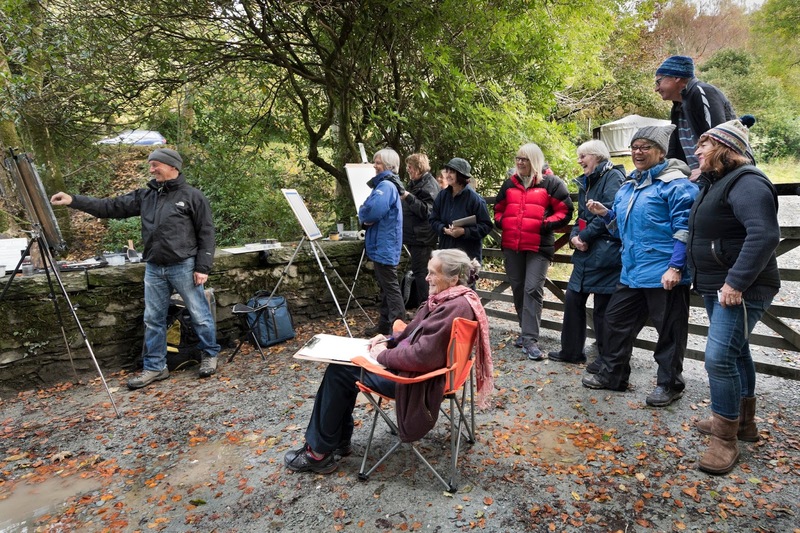 Fun and laughter whilst painting at Rydal Hall - just how we like all like it! Nitram charcoal takes centre stage. Essential tools of the trade for my mixed media black and white drawings and paintings - every time! 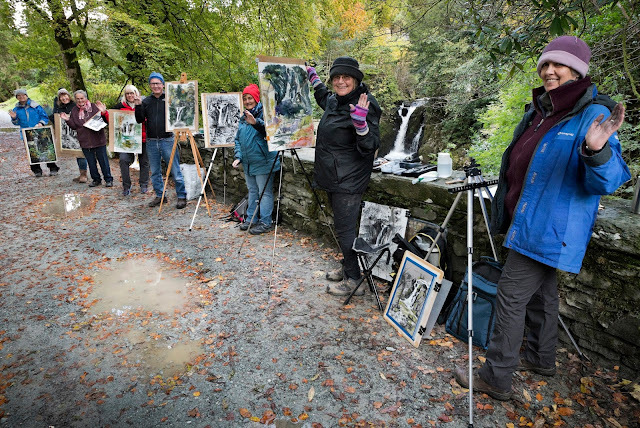 Mixing versatile Nitram Charcoal (from Canada) with other black and white media being 'right there amongst it' by the tumbling waters of Rydal Beck on the Rydal Hall estate was a magical and wonderful painting experience for all. 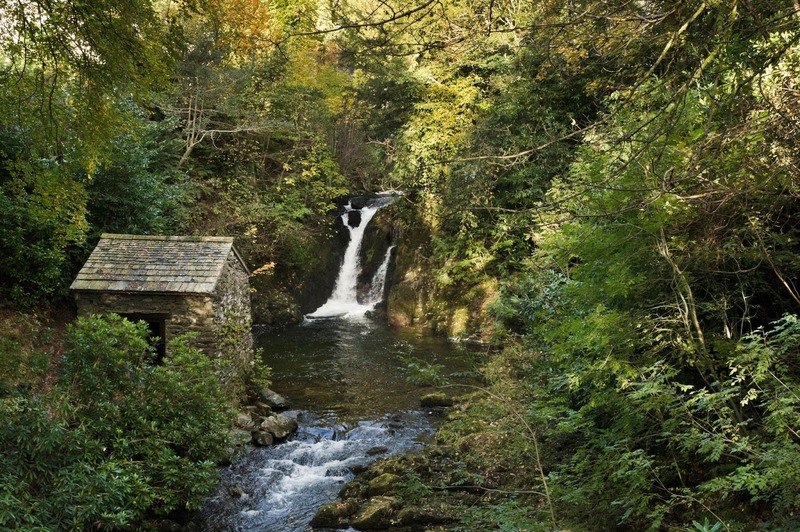 The wonderful inspirational setting at Rydal Hall - Rydal Falls. No wonder Wordsworth loved it so much! The wonderful Rydal Water once again was a true creative inspiration for everyone again with superb pastel paintings being created by everyone at by the edge of the lake in the Autumn sunshine. 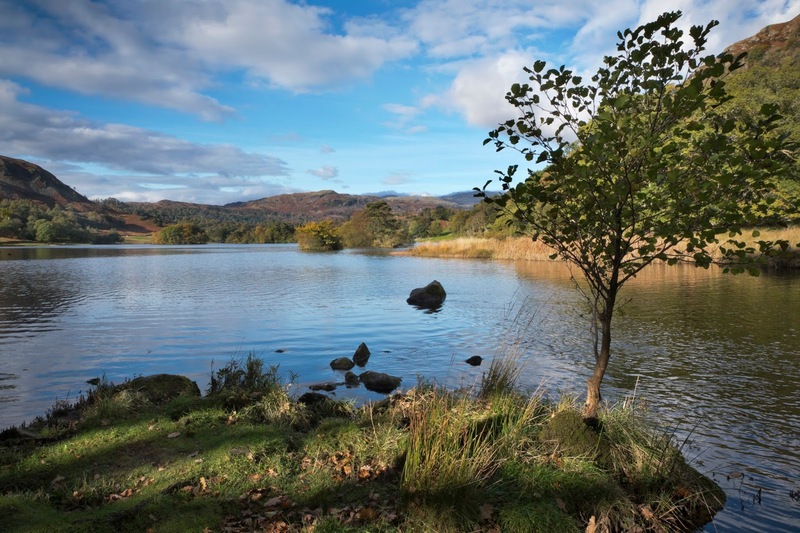 The inspirational view of Rydal Water - glorious colours and a magical setting! 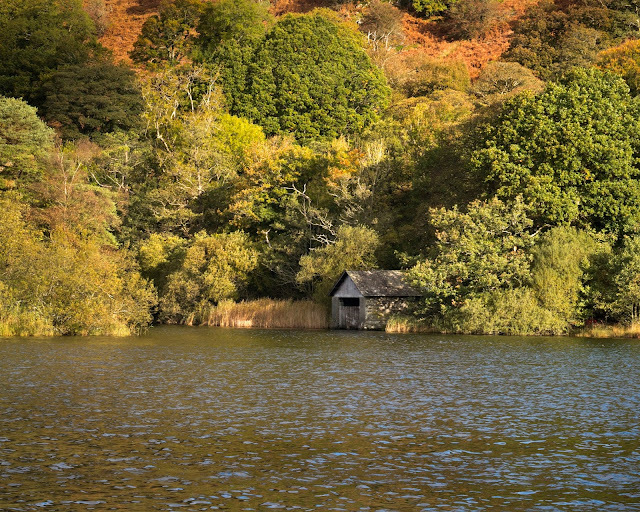 The boathouse at Rydal Water surrounded by amazing Autumn colour. The scene positively glows! 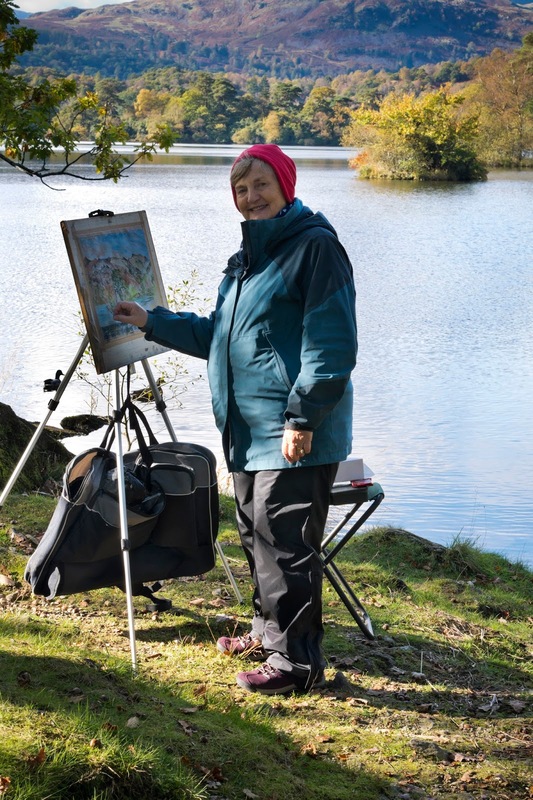 Susie having a great time painting at Rydal Water - another good one Susie to take back to France with you and impress all your friends! Autumn's glorious special light in late afternoon at Rydal Water. Perfect for our finishing marks - saving the best to last! Studio painting days with evening demos and reviews of everyone's great paintings throughout the week helped pack a lot into the art holiday which everyone found so exciting, fun and a rewarding learning experience. "Brilliant week and a great group. 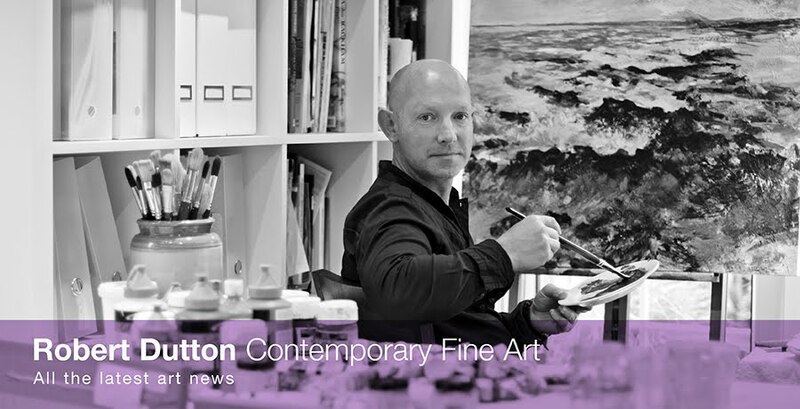 Really feel my work has freed up and moved in new directions." "Fantastic week. Loved every minute and thanks for giving me a push out of my comfort zone - you rock!" "Thank you for a fantastic break. Learned so much, head spinning with new ideas." "Thank you for your help and inspiration this week. i feel I have developed and now need to move on to the next stage. Great company. See you in 2017." The sun and the moon at Rydal Hall! 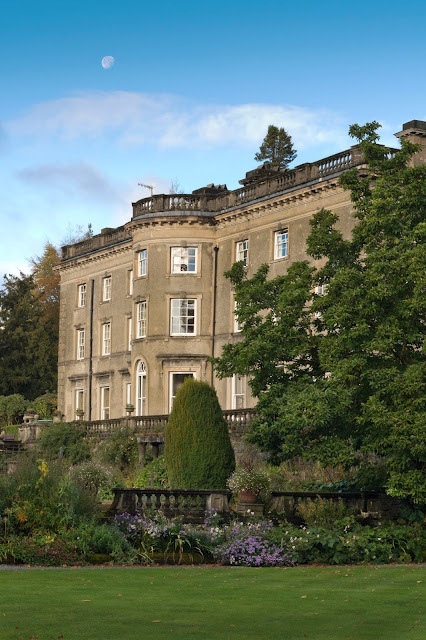 The magic, great staff and high standard of accommodation and creatively inspirational settings make Rydal Hall really special. 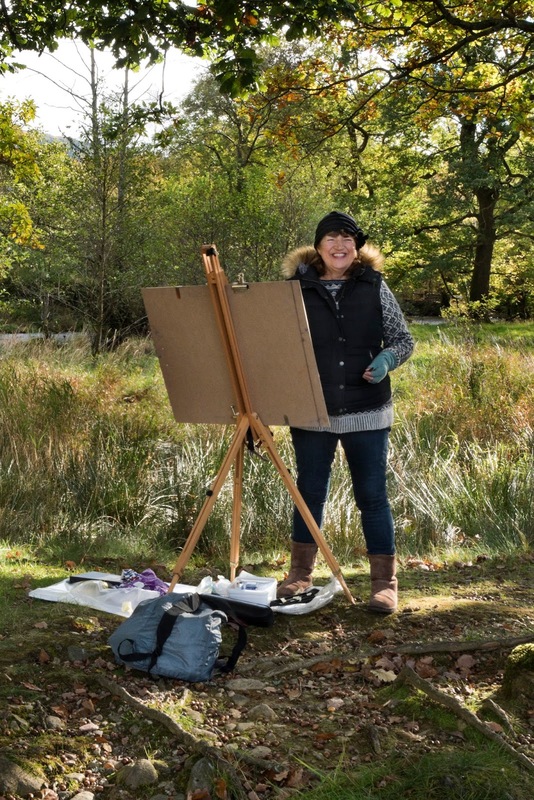 It's personally rewarding to know that my organised art holidays here which continually offering something 'new' and exciting for everyones personal development year after year, season upon season are such a hit! Rydal Hall really is is a very special place. You'll find out for yourself why if you come next year! A gigantic moonlike of recommendation, keep moving on.